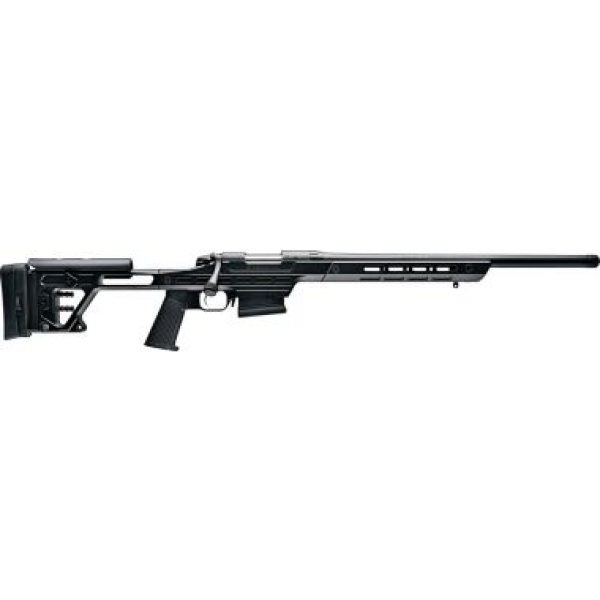 Bergara's B14 Bergara Match Precision Chassis Bolt-Action Rifles are precise enough to meet the needs of the competitive shooter and powerful enough to please the big-game hunter. Virtually indestructible, its lightweight frame is precision machined out of solid 7075 T6 aluminum. World-renowned for exceptional accuracy, the Bergara barrel is produced using a proprietary, vertically honed, button-rifled barrel in a 5 contour and its end is threaded 5/8"x24 to accept a muzzle device or suppressor. The BMP chassis features flush cup mounts for quick-detach accessories and Magpul® M-LOK mounting slots for even more accessories. Main magazine body is also precision machined to exactly fit with AICS-style magazines. Near-vertical AR-style grip combines with the adjustable and removable rear stock for spilt-second control and premium shooting comfort. Rear stock is precisely machined to reduce weight and its length can be adjusted quickly, easily and without tools. It also boasts a cheek riser that adjusts up and down with multiple machined positions, and its recoil pad features vertical adjustments and left and right canting. 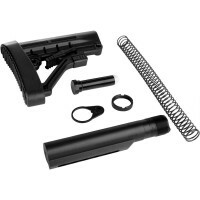 Includes one Magpul PMAG® AICS magazine. Must be shipped to FFL.